CrackBerry Habits: How often do you check your BlackBerry? 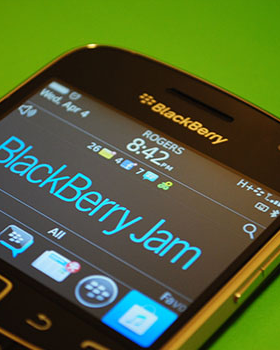 How often do you check your Blackberry? We get it, you're an addict. How much is too much though? I find myself checking my BlackBerry pretty much any time I get bored ... or have down time ... or think about it ... or ... well yeah. At times I wish I could disconnect and not want need to check my phone, but that's another challenge for another time. Some days I'll only pick up my phone when I have an LED or audible alert, other days I constantly pick it up, hit a button to put the screen on and check whatever I can - Facebook, Twitter, email - in whatever time I have. I don't know why I do, but I do. I hope to find something new that wasn't on there when I checked it five minutes earlier. What we want to know is how often you check your device. Do you wait for an alert? Just keep it in your hand and check whenever you're free? Pick the option in the poll above that best fits you, then let us know in the comments why what you do works.